Genesee Townhomes located in West Seattle, Washington were designed by Elemental Architecture and built by Method Homes. 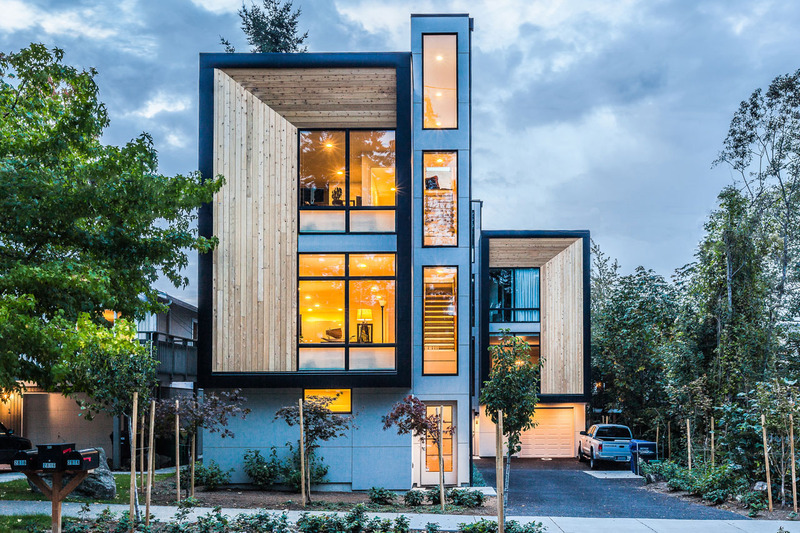 The sustainable, modern, affordable homes consist of three townhouses with two of the units having a shared wall and the third is a stand-alone unit. 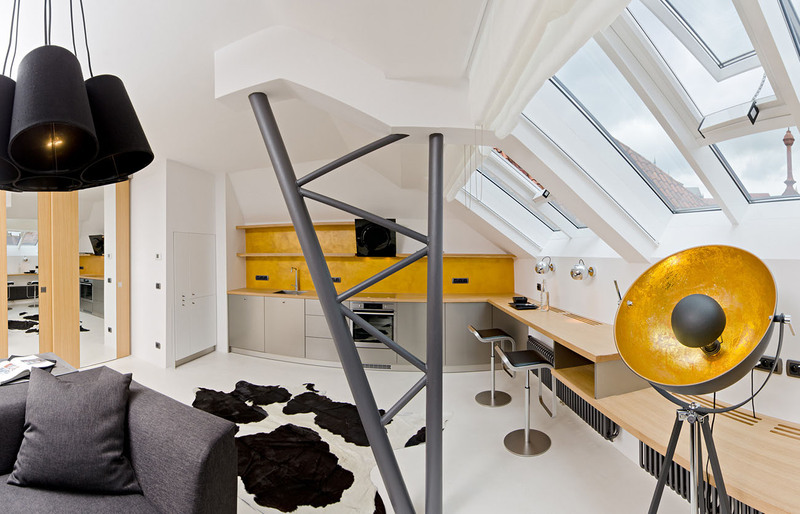 Five To One Apartment is the latest invention of MKCA allowing a tiny studio apartment in New York City to have ample space for living, working, sleeping, dressing, and entertaining. The kitchen, dining area, sleeping area and bathroom all comfortably fit within 390 square foot of compact space. 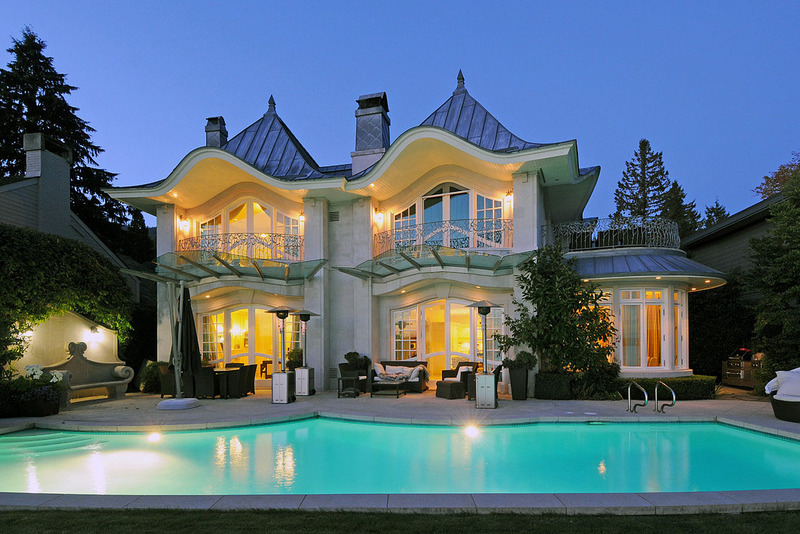 This masterpiece located at 2860 Bellevue Avenue, West Vancouver, British Columbia, Canada is a magnificent home on one of the most prestigious waterfront locations. Designed by Grant & Sinclair Architects and built by Kindred Construction, this trophy property boasts limestone siding and a complete zinc and copper roof. 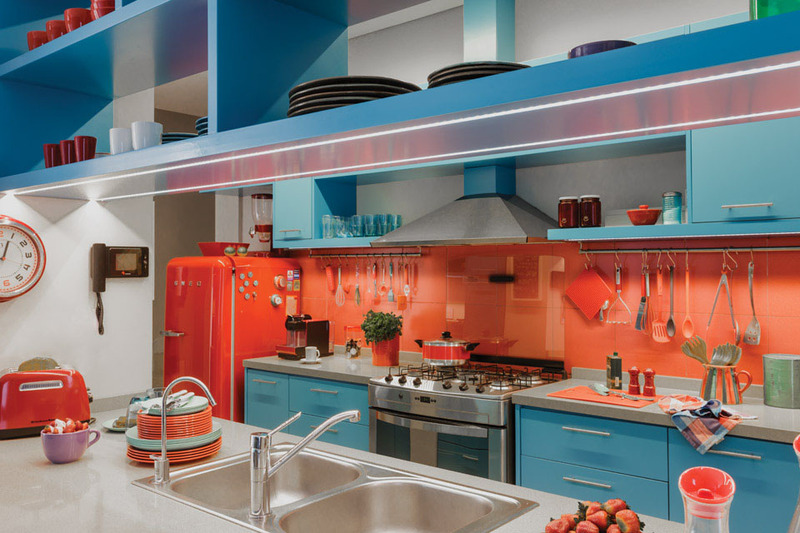 This newly redesigned kitchen with a midcentury modern look by Estudio 1425 uses vibrant colors to provide the room with a distinct personality. 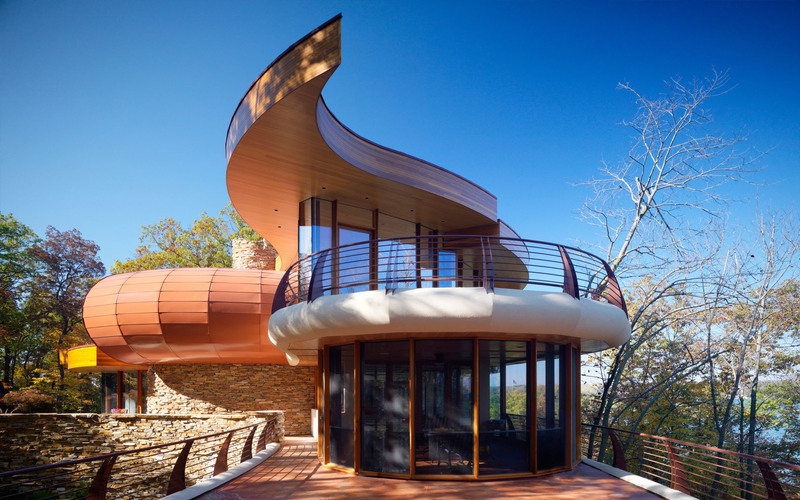 This secluded private residence by a lake in Chenqeua, Wisconsin was designed by Robert Harvey Oshatz Architect. The architecture twists between the trees and the natural environment. 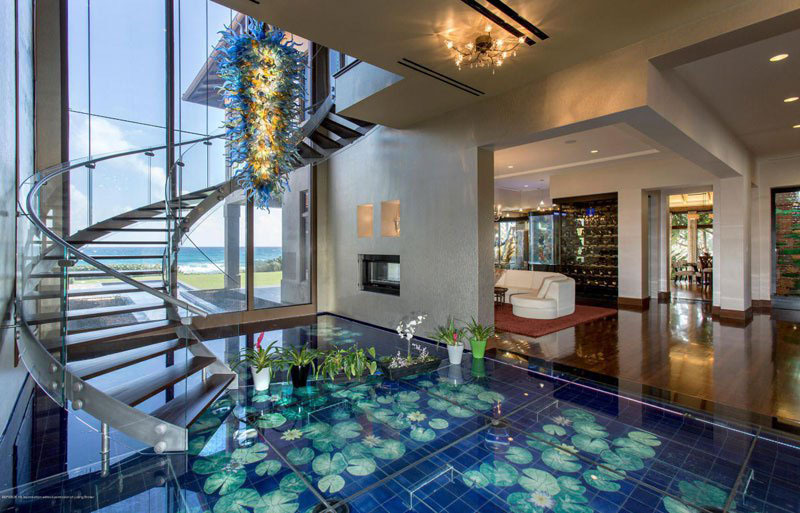 Acqua Liana is a beautiful piece of art in the form of a luxury mansion in Manalapan, Palm Beach County, Florida. This spectacular residence created by celebrity home builder and real estate artist Frank McKinney is sited on 1.6 acres fronting the Atlantic Ocean with Intracoastal Waterway on the other side. 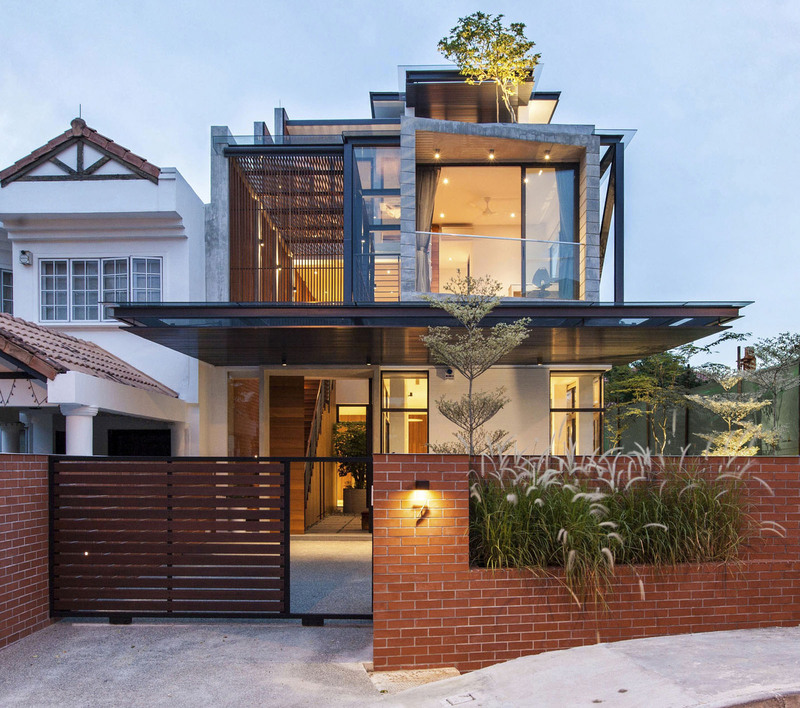 Designed by Aamer Architects, this semi-detached house in Singapore is aesthetically separated from its neighbour.